1300010 ALL, AJN, ASN, ATF ATLET ALL, AJN, ASN, ATF Stacker Spare Parts Catalog. Service manual. 1300011 ALL, AJN, ASN, ATF ATLET ALL, AJN, ASN, ATF Stacker Spare Parts Catalog. Service manual. 1300012 OPC ATLET OPC High Level Order Picker Spare Parts Catalog. Service manual. 1300013 OPS ATLET OPS High Level Order Picker Spare Parts Catalog. Service manual. 1300014 OPM ATLET OPM High Level Order Picker Spare Parts Catalog. Service manual. 1300015 OPH ATLET OPH High Level Order Picker Spare Parts Catalog. Service manual. 1300016 PLP ATLET PLP Low Lifter Spare Parts Catalog. 1300017 PLP 200 ATLET PLP Low Lifter Service manual. 1300018 PLP 250 ATLET PLP Low Lifter Service manual. 1300019 PLL ATLET PLL Low Lifter Spare Parts Catalog. 1300020 PLL ATLET PLL 145, PLL 180, PLL 200 Low Lifter Service manual. 1300021 PPC, PPD, PPF, PPL ATLET PPC, PPD, PPF, PPL Low Level Order Picker Spare Parts Catalog. 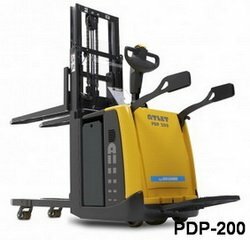 1300022 PSD ATLET PSD 125, PSD 160 Stacker Service manual. 1300023 PSL 125 ATLET PSL 125 Stacker Service manual. 1300024 PS, PSH ATLET PS, PSH Stacker Spare Parts Catalog. 1300025 PS, PSH ATLET PS, PSH Stacker Service manual. 1300026 PSH 200 ATLET PSH 200 Stacker Service manual. 1300027 TS ATLET TS100, TS125, TS140 Stacker Spare Parts Catalog. Service manual. 1300028 TLL, TLP, TPL, TPF, TPD, TPC, TSL, TSP ATLET TLL, TLP, TPL, TPF, TPD, TPC, TSL, TSP Stacker Service manual. 1300029 UNS, UHS, USS, UFS, ATLET UNS, UHS, USS, UFS, Reach Truck Spare Parts Catalog. Service manual. 1300030 URF ATLET URF Very Narrow Aisle Spare Parts Catalog. Service manual. 1300031 XLL, XJN, XSN, XTF ATLET X100 ST, X100 SFT, X100 SDF, X100 SDTF Low Lifter Spare Parts Catalog. 1300032 XLL, XJN, XSN, XTF ATLET X100 ST, X100 SFT, X100 SDF, X100 SDTF Low Lifter Spare Parts Catalog. Service manual. 1300033 XLL, XJN, XSN, XTF ATLET X200 ST, X200 SFT, X200 SDF, X200 SDTF Low Lifter Spare Parts Catalog. Service manual.